Q: What’s your vision and what’s been the progress so far? A: The vision of WandX is to create decentralized infrastructure for creation, trade, and settlement of any financial instrument built on ERC20 tokens. In the real world, you have various instruments on currency and commodities such as futures, options, securitization of income streams, debt instruments. With the rapidly growing crypto-asset space, we’re building a platform on which anyone can create, trade, and settle any kind of financial instruments on tokens built on Ethereum. Our first instrument is the portfolio; currently we have a prototype on the Ethereum testnet that enables users to create and trade portfolios of ERC20 tokens, through our smart contracts and APIs, with a single transaction. Q: There’s a lot of decentralized exchange platforms and protocols coming up. How are you different? 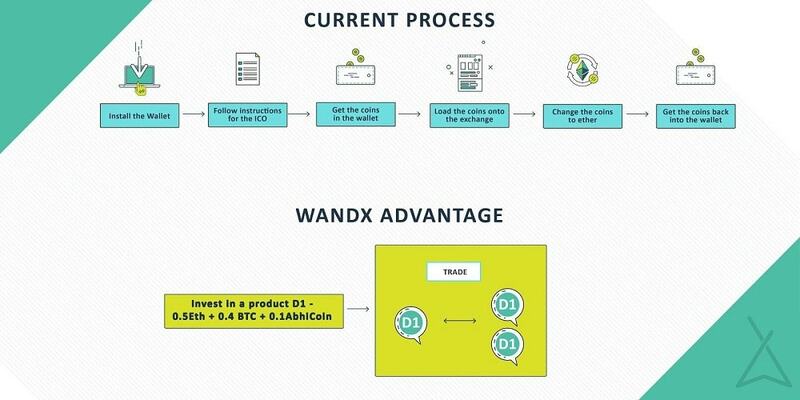 A: Decentralized exchanges enable trade between tokens; WandX goes a step further and enables decentralized trade between financial instruments. The first financial instrument is the portfolio; users can create and trade portfolios of ERC20 tokens, hence helping them to hedge risk and diversify their investments. Through our APIs that connect to our smart contracts, any third party can connect for a fee. Our protocol for decentralized derivatives trade on ERC20 tokens will release in 3 months. 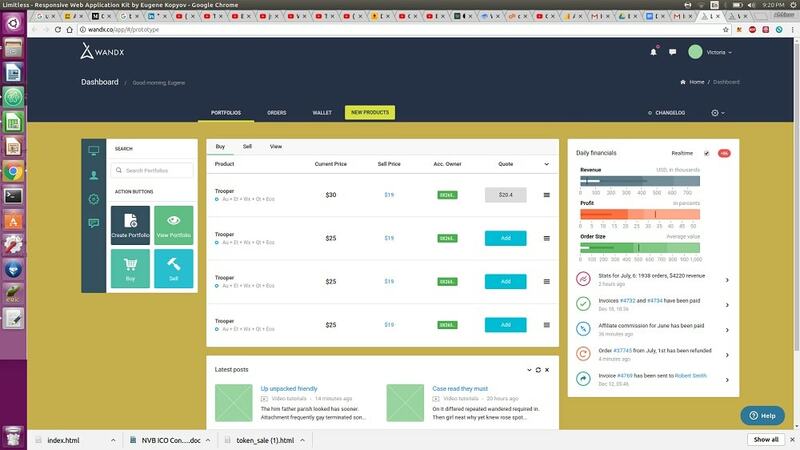 Our easy to use user interface, APIs that connect to our smart contracts would help user onboarding and quick usage of the platform. Q: What’s your business model and growth strategy? A: Our business model for the first portfolio trading application is a percentage of the trade. The next application which would enable creation and trade of ETFs and derivatives would have a similar business model, except that we would also take a percentage of creation as well. We’ve created the APIs and smart contract infrastructure to enable easy creation and trade and added a lot of value created through this framework. We plan to grow by partnering with liquidity providers who are looking for a way to trade the crypto market with the ability to both hedge and collar simultaneously through the creation of a custom token. Q: Tell us about the Wand. A: We’re introducing the Wand token to incentivize creation and trade of financial instruments; it’s the equivalent of a loyalty points in retail. Users are incentivized with a percentage of Wand tokens for every creation and trade of instruments. In our initial application, users can pay for portfolios with Wand tokens, and they get a discount on our platform trading fee every time a trade is made. They also get a discount every time a derivative or ETF is created. The Wand token is a utility token, and does not have any connection to shares at WandX Pte Ltd.
Q: What does your team bring to the table where others may fall short? How is your team different? A: Our team can be classified into three groups – Software experts, financial services veterans, and Blockchain experts. 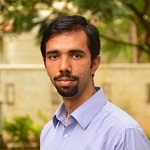 Our core development team has spent over 20 years in the Indian IT industry, developing software from Java to configuring hardware in an industrial setting. Our Blockchain developers have developed smart contracts in various industry PoCs. Our financial services veterans have each spent over 20 years in debt markets, custodian services, management consulting, as well as research. Some of the team is still working in companies, since bills still have to be paid. Our team is passionate and our community is growing. I believe we are well positioned to make a significant difference in driving the adoption of Crypto Assets across and open it for anyone to use and build off of.